Photos courtesy of Able ARTS Work. 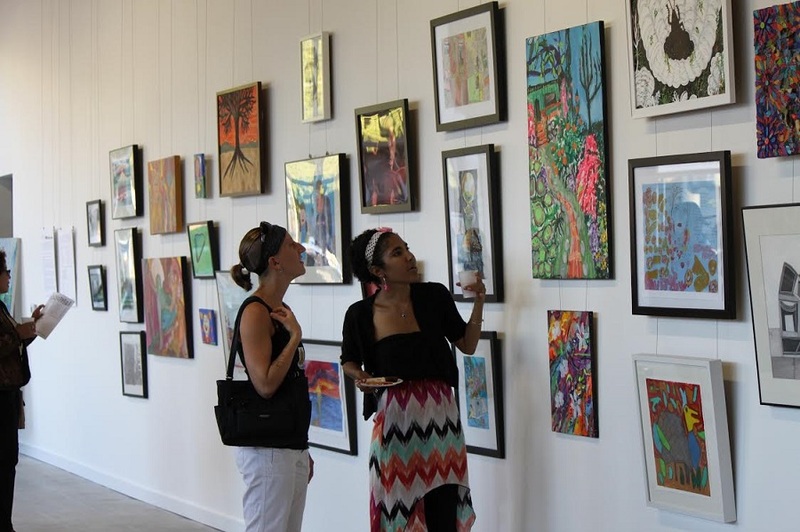 Photo of annual international arts exhibition featuring work of artists with and without disabilities. Celebrating 35 years of serving the developmentally disabled community with arts-based curricula, Able ARTS Work’s 5th Annual Artbeat for Humanity Gala will take place on Saturday, April 22 at the Hotel Maya. Funds raised during the event will go toward the nonprofit organization’s programming, which provides meaningful creative arts services for people of all ages. 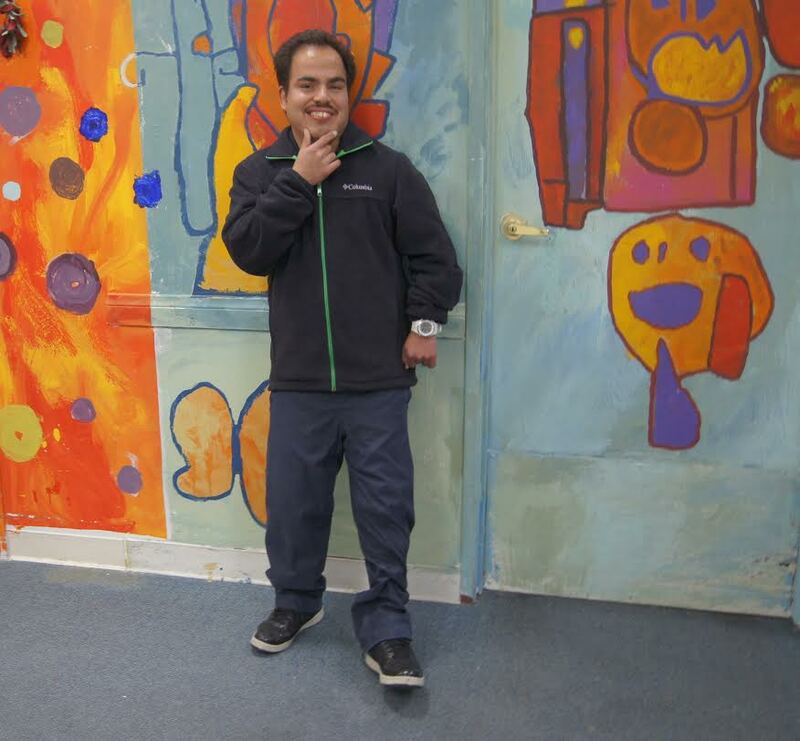 Able ARTS Work’s arts-based therapeutic curriculum serves adults, adolescents and children with moderate to profound developmental and intellectual disabilities. The event, titled It Takes A Village!, will be a multi-sensory experience encapsulating the nonprofit organization’s commitment to community support and orchestration. During the gala, the National Association of Music Merchants Foundation and President and CEO Joe Lamond will be awarded for their leadership in supporting wellness and inclusion. Photo from annual inclusive community arts festival in Hawthorne highlighting the work of artists and performers in the south bay. 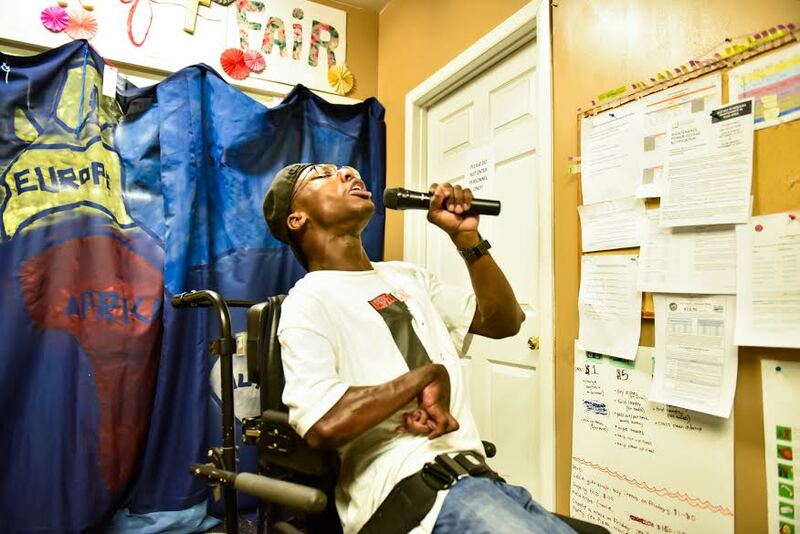 Founded in 1982, Able ARTS Work, formerly Arts & Services for the Disabled, has followed the belief that “everyone learns best when they are first loved, accepted and respected,” according to the release. Pioneering this “Love Before Learning, Learning for Life” philosophy, students learn through classes in drawing, painting, ceramics, drumming theater, film-making and more to build strength, mobility, dexterity, communication and socio-emotional skills. The look and feel of the gala is always inspired by student artwork with this year’s collaborative piece to represent the work of resident artists attending the Able ARTS Work program, Encouraging Personal Independence in Hawthorne. Photo of artist Carlos Arredondo. Several resident artists will host art stations, while a special performance with American Idol contestant, Devyn Rush, will take place during the dinner reception. The featured art piece will be unveiled later in the evening and will be available for purchase, along with most of the student-created decor, with proceeds supporting resident artists and Able ARTS Work programs. 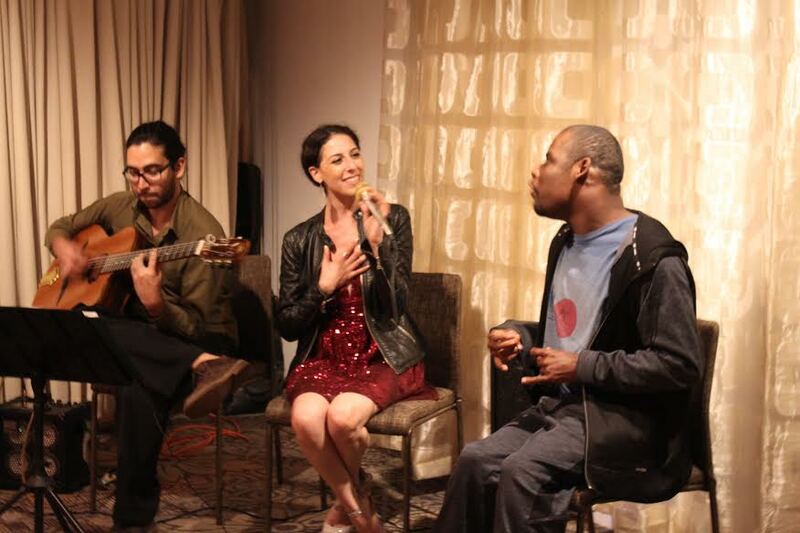 Fundraiser event featuring American Idol Devyn Rush in a duet with Able ARTS personality Jamond Pearson. Artbeat for Humanity – It Takes A Village! Will take place on Saturday, April 22 from 5:30PM to 10:00PM. To purchase tickets and/or event sponsorships (available through March 27) visit the link here. For more information about Able Arts Work, visit the website here. The Hotel Maya is located at 700 Queensway Drive.